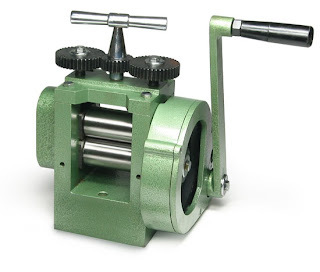 Yes....sing it with me.....myyyyyyyy rolling mill comes today, my rolling mill comes today....la la la la la....my rolling mil comes today! Nope not excited, not one bit. Hey, did I tell you all......My rolling mill comes today?!?!? What should I do first? I cannot pick just one thing....argh.....yippeeeee!!!! Any comments/ Suggestions are welcome!